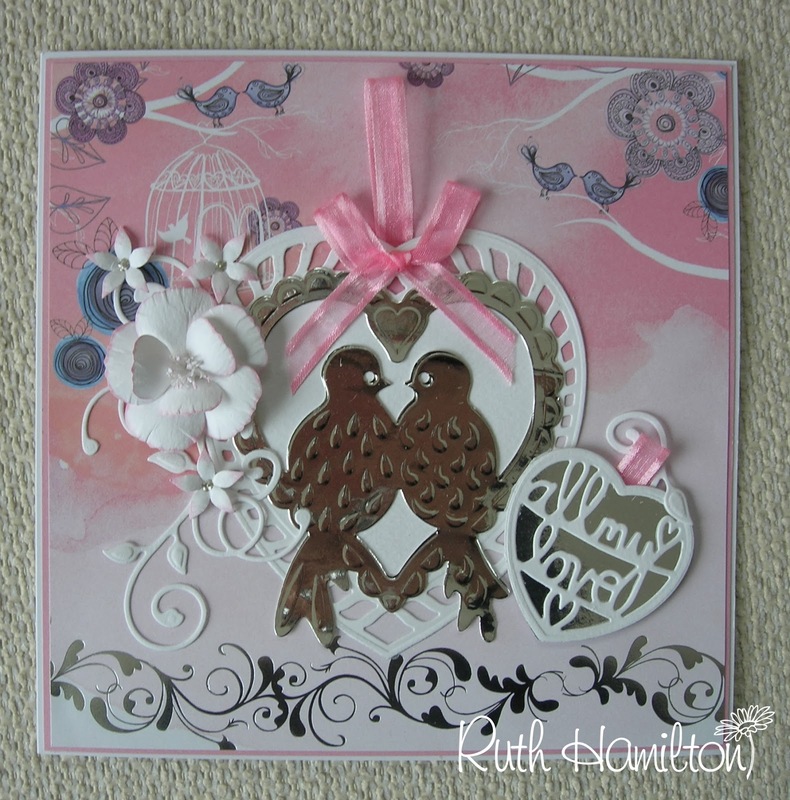 Just in case you hadn't already noticed - the Tonic Studios Love Birds die fits neatly inside one of the hearts from the Heart Base die set.This gives you another option with the hearts. I've used the beautiful Watch the Birdy paper with the silver foiling to coordinate with the silver heart. The All my Love die is backed onto silver card too. The flowers are made with the Rose, Pansy, Camelia, Gardenia Punch and Stamp set and I've added a Frond Finesse swirl behind the petals. This is a really simple 8x8 card which I've made without using any patterned paper. The lovely shades of card are all from Papermill.. 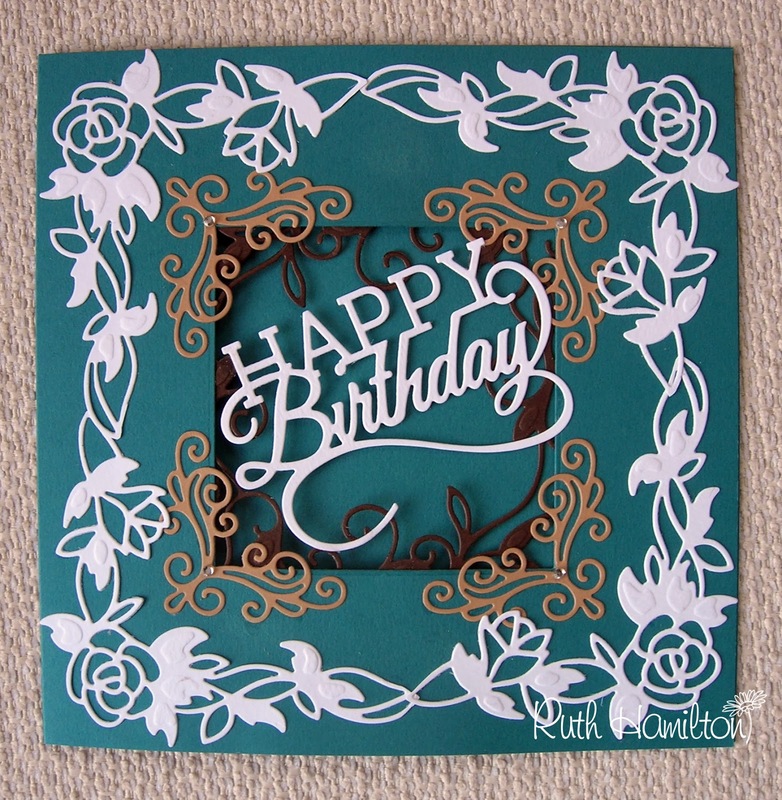 I haven't used any stamps or punches either,only dies - namely the Layering square to create the aperture, Happy Birthday, 2 white Rose Deco frame die cuts joined together, 4 kraft corners from the Emily Deco frame die set and a mocha brown die cut form the same set attached on the inside of the aperture. 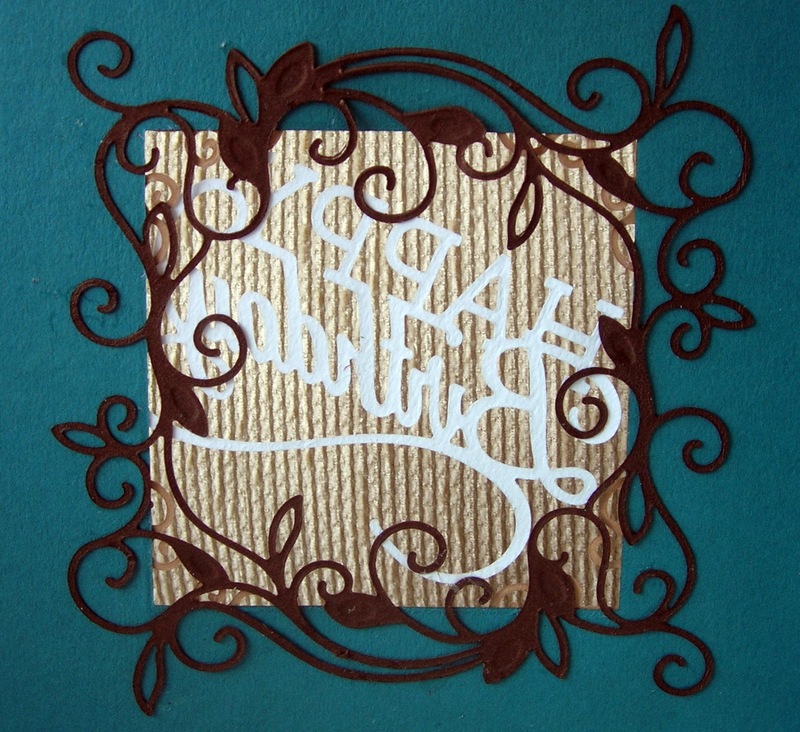 Visit my blog - A Passion for Cards - to see more of my creations.